I continue and conclude the series on the Invisible Church with Homelessness. Before i go on, I want to say that I have read some things from people that have taken my posts out of context. My intentions were to reveal the neglection of our duties in the Church. I do not want to negate preaching, teaching, or witnessing as a means of evangelism. I simply am stating that words without benevolence is simply faith without actions. Taking care of those in need is part of our mission. The basic needs of every human being are health care, hunger, and shelter. We simply need to create ways to provide these basic needs of God’s creation. We are stewards of God, but stewardship does not begin and end with possessions. Our priority in stewardship is investing in people. I would go as far as saying that stewardship has very little to do with money and possessions and has a lot to do with people. Sure, we want to keep and maintain our church facilities; but to neglect the starving souls around you in order to maintain the facility or organization is still poor stewardship. 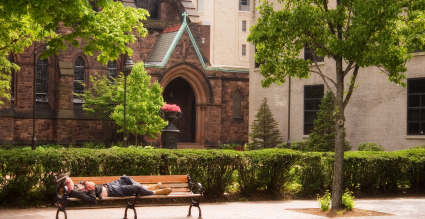 Homelessness is just one aspect of many social responsibilities of the Church. Yes, there are spiritual needs, that are more important. I know that! But if we are not good at meeting the physical needs, we’re not going to be good at meeting the spiritual needs. A good father feeds his children on top of spiritually nourishing them. I know taking care of your children is just common sense, but what about taking care of children who are not yours? What about providing shelter for God’s children? I will abide in Your tabernacle forever; I will trust in the shelter of Your wings. Deliver me, O Lord, from my enemies; In You I take shelter. Let My outcasts dwell with you, O Moab; Be a shelter to them from the face of the spoiler. But the Lord will be a shelter for His people, And the strength of the children of Israel. I am not saying that you should invite a stranger into your house with your family there. I’m sure many have done that and have been safe, but there are plenty of programs out there that can do more to help with homelessness than you can. Many city shelters provide recovery programs that will help adults get back on their feet on top of providing shelter and food. Volunteer at your shelter downtown. Buy extra food at the grocery store and drop it off at a shelter on your way back. provide supplies or money to the shelter organization. 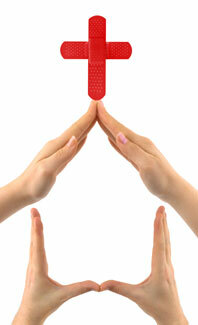 Start a ministry in your fellowship that helps out at the homeless shelter. Go through your old clothes and donate them. Donate your beat up car. People in a homeless shelter are there for many reasons. Some from addictions. Some from mental or physical disabilities. Some from depression. Some from financial devastation. Some from divorce. When you serve at a shelter, make sure you interact with these people and find out their needs. Pray for their weaknesses, and encourage them. Many of them don’t have family. Many don’t have friends. All you have to do is be their Jesus, and love them. The three words: ministration, ministry, and administration, all have the same greek root word – “diakonia”. When you look up the definition, the first description you read is “service, ministering, esp. of those who execute the commands of others“. the ability to control, manage, or run things is not being a minister. The Greek term strictly says those who EXECUTE the commands that others have given them. We have many that act as bosses, or managers, but very little who act as ministers or servants. Make sure you are the one executing the commands of God by serving. If you and 50 people in your church were asked to worship and fellowship in the middle of a barren wasteland for 40 days, what basic needs would you ask for? It’s not an impractical question. It doesn’t matter if you are in a grocery store, you still have to pay for food. Without money, you might as well be in a wasteland, because that food is just as much out of reach as it is to someone in a dessert. In the United States, the Health care system is destitute, the Social Security system is going bankrupt, the housing is devastated, and all people can do is cry at the government. Taking care of our families and taking care of the stranger is the Church’s responsibility, but we take up our pitch forks and torches and march on capital hill with all the other complainers. What’s wrong with us? The Church has really gone down the tube when people stop asking us for benevolence, and continue to beg Uncle Sam.